I used to do a lot of 'Face of the Day' posts but then I guess I got a bit lazy. I have noticed I don't really show that much makeup on my actual face anymore + really you can't tell what anything really looks like unless you see it on so I'm going to try to be a bit better about that. 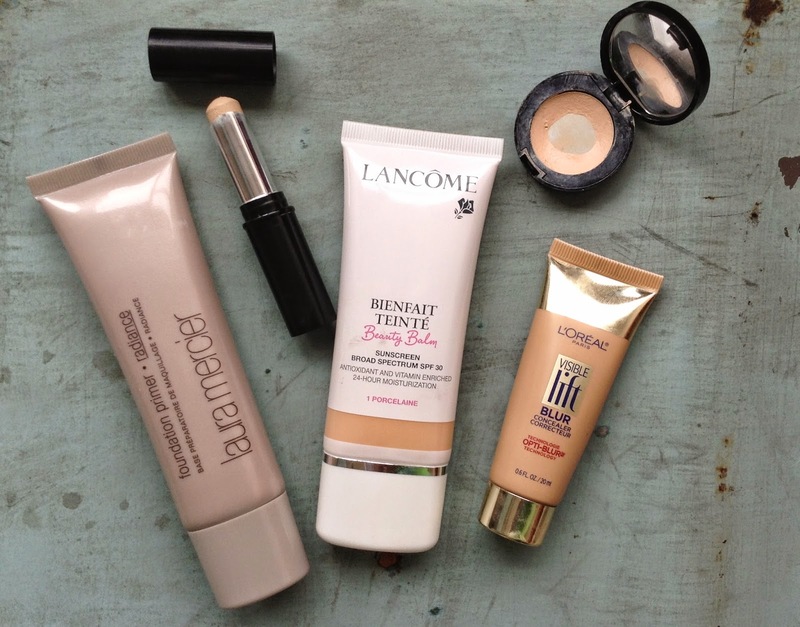 Base: I used the Laura Mercier Radiance Primer under the Lancôme BB Cream (which comes in six shades). 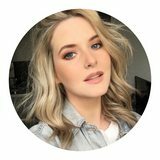 I then used the Bobbi Brown Corrector in Porcelain Peach with a bit of the L'Oréal Paris Visible Lift Blur Concealer under my eyes + I also used the L'Oréal Concealer on my chin, around my nose + a bit on my forehead. I used the Vichy Dermablend Concealer on any blemishes. I then lightly powdered the center of my face with Clarins Ever Matte. 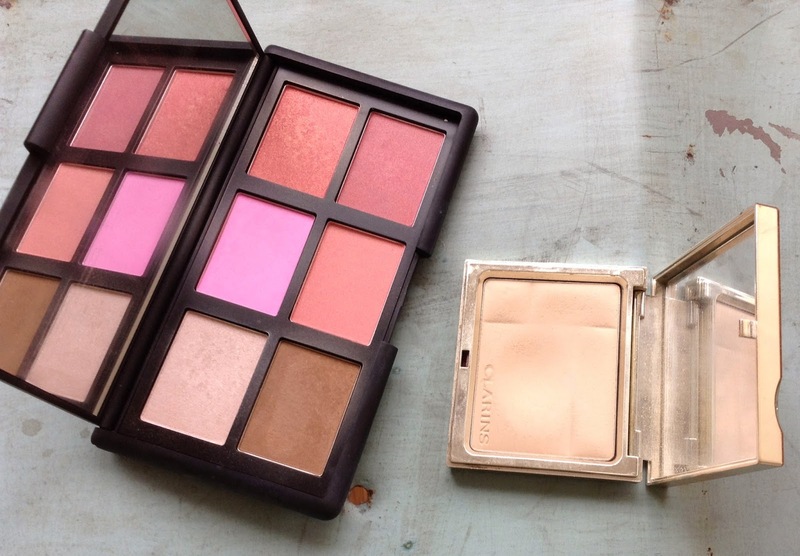 Cheeks: I used my NARS One Night Stand palette for bronzer, blush + highlighter. The blush I opted for is the bright pink in the middle of the top row because I feel like this goes really well with my blonde hair. 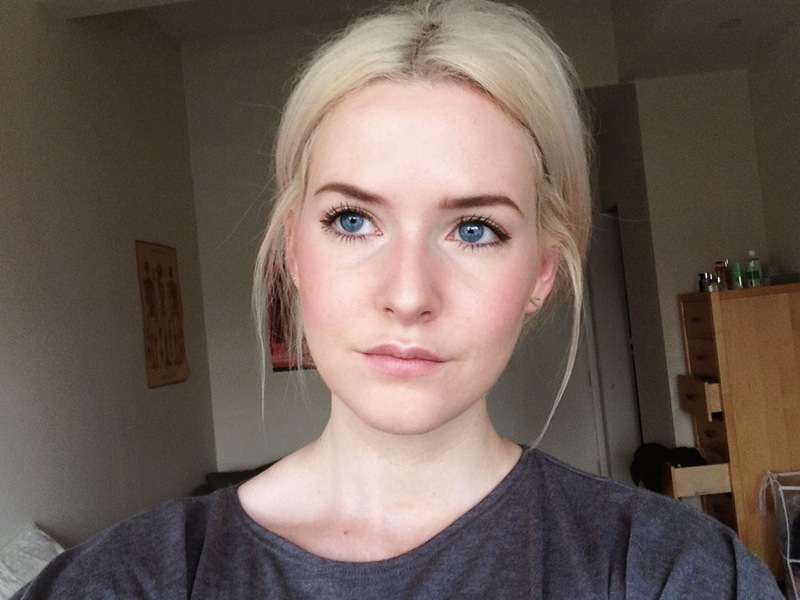 I then used the Laguna bronzer to contour a bit + the highlighter on any high points of my face. I love this highlighter because it's not glittery but it adds a really pretty glow. Eyebrows: I used my Anastasia Brow Wiz in the shade Ash Blonde - I seem to have misplaced my Benefit Gimme Brow so I used a normal clear brow gel to keep them in place. I don't have bushy eyebrows by any stretch of the imagination but they still like to have a party on their own. 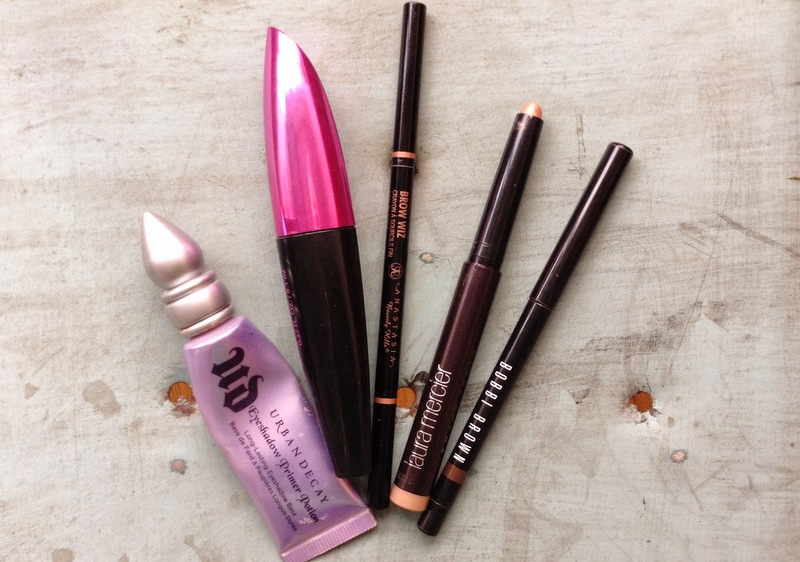 Eyes: I always use the Urban Decay Primer Potion, no matter what kind of eye look I am doing. I then used the Laura Mercier Caviar Stick in Rose Gold all over the lid with the Bobbi Brown Eye Liner in Scotch along the top lash line. To finish, I used my L'Oréal Paris Miss Manga Mascara in Black Brown on my top + bottom lashes. I didn't put on any lipstick, just some lip balm throughout the day. I then always spritz my face with the Urban Decay All Nighter Spray to keep everything in place. Looks amazing,I was after that Nars pallet when it first came out but it sold out so quickly which sucked! I can't get over how gorgeous you look! You're making me want to get that NARS palette out and use that rather scary bright pink too - even if I'm not a blonde bombshell. You look lovely, the NARS palette looks amazing! Looks amazing! Love the nars palette! GORGEOUS! You're skin looks flawless, but in a natural way! You beaut. Also you have major collar bonez here. Tell me your secrets.